As 2011 has drawn to an end, Auchentoshan, Scotland’s only triple distilled Single Malt whisky, reflects on the brand successes of the year; from its first ever mixology competition, to continuing to challenge the perceptions of whisky with its unique Auchentoshan Presents Sunday parties. 2011 saw a dedicated on-trade push for Auchentoshan Three Wood, promoting its unique complexity and versatility. Auchentoshan launched the first ever, transatlantic Auchentoshan Switch mixology competition that uses only the Three Wood. The prize was a career-changing, 14 day switch across the Atlantic for two outstanding bartenders (one from the UK and one from the US) to work in prestigious London and New York establishments: 69 Colebrooke Row and Apotheke. 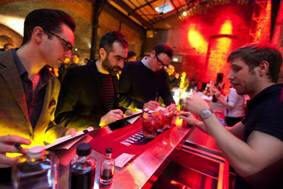 Over 100 top bartenders entered, with 20 finalists from the UK and US selected to attend the final showdown. 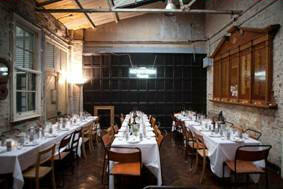 The UK event took place at East London warehouse space, Village Underground, with an esteemed panel of judges overseeing the three rounds:Tony Conigliaro (co-owner of 69 Colebrooke Row). Giles Looker (owner of Soulshakers Bar Consultancy) and Neil Ridley (journalist and co-founder of revered whisky blog CaskStrength). Martin Ball from Corridor, Manchester, the UK winner, will head to Apotheke in Spring 2012 to experience some world-class molecular mixology, whilst US winner Charles Joly from The Drawing Room, Chicagowill head over to 69 Colebrooke Row. To further support the Switch in trade, Auchentoshan ran a London in-house cocktail competition whereby the winner would be automatically entered into the Switch UK final. The contest challenged bartenders from eight leading London cocktail bars to create an original recipe using the Auchentoshan Three Wood. All winners were taken to the distillery in Scotland for the final. The winner was Dav Eames from Saf in Shoreditch with A Decadent Dram, and as a result, the expression and two cocktails have since been listed at this top bar and restaurant. 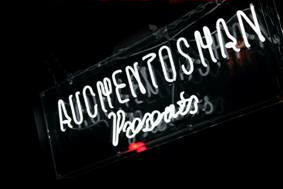 As part of the dedicated on-trade push for the Auchentoshan Three Wood, the expression has gained listing in some of the most renowned bars across the UK, including Shaker&Company, Paramount, Soho(both including two cocktails), 14 sites of the Gaucho Restaurant Group, Donovan Bar at Browns Hotel(includingan Old Fashioned cocktail), as well aslisting across the entire Drake and Morgan Groupin London– The Anthologist, The Drift, The Refinery, The Parlour and The Folly – with two cocktails listed for 2012and staff training completed for over 80 bar and floor staff. Continuing to challenge perceptions that whisky is the preserve of an older, pipe-toting, slipper-wearing gentleman, ‘Auchentoshan Presents’went on tour. The series of Sunday parties mixed unique whisky tastings with dance floor flailings co-curated by promoters who, like the whisky, do things differently. The tour kicked off in July in Glasgow, the home of Auchentoshan, at Black Sparrowbar with a Scottish Bank Holiday party. The series then travelled the UK over the summer, visiting Lock Tavernfor a Field Day festival pre-party, then Bristol’s Start The Bus, followed by Leeds’s Nation Of Shopkeepers and finally Manchester’s favourite intimate drinking hole, Common. Continuing its collaborations with creatives, Auchentoshan Presents partnered with supper club Shacklewell Nights to create a hidden dining experience at Ruby House, a Victorian townhouse within the MC Motors building in Dalston, London. Guests were treated to impromptu whisky tastings and a three-course menu that either complemented Auchentoshan or incorporated it into the dish, carefully designed by Claire Roberson, Shacklewell Nights’ founder, and Jonathan Woolway from St John Restaurant. As the trend for supper clubs in unusual spaces continues to gain momentum, Auchentoshan Presents... Shacklewell Nights led the pack. Auchentoshan continued to support innovative and stand-out events with like-minded brands and individuals withinthe arts, music, photography, design, and film, to increase consumer understanding of Auchentoshan’s brand positioning through association. In 2011, Auchentoshan supported 11 high-profile events, including Fashion East (London), Flatpack Film Festival (Birmingham), and Paul Smith Vogue Fashion Night Out (London). Almost 3,000 target consumers had tasted Auchentoshan, either straight or as a long serve with ginger ale and wedge of orange.